Chris and I are writing a new story. 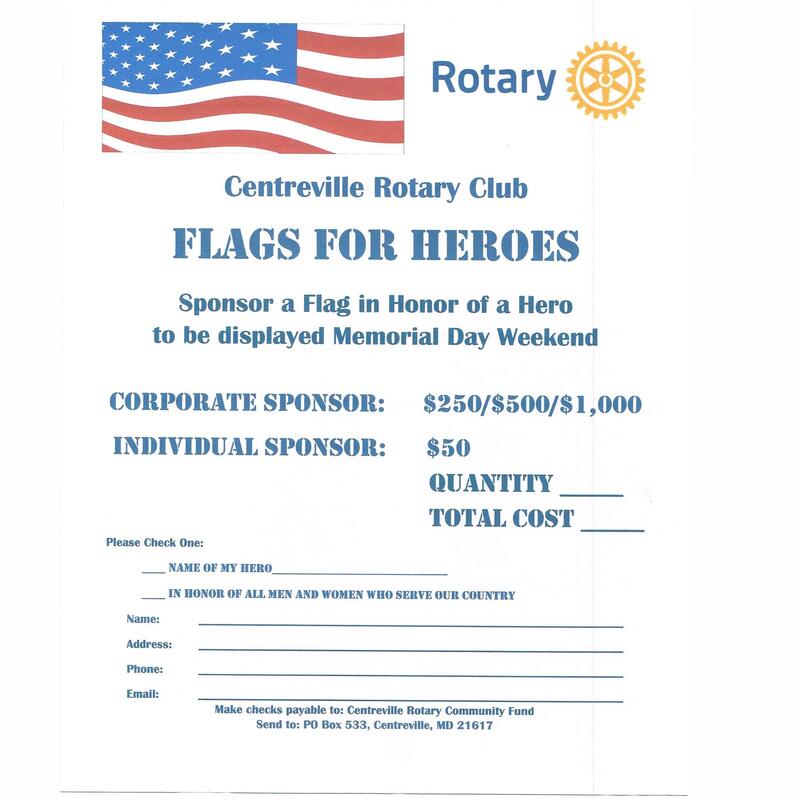 Becoming a member of Rotary International and the Centreville Rotary Club is very different than most of our civic and community affiliations. The first surprise comes when one learns that you must be invited to join by a current member of the Rotary Club in your community. And members are always seeking fellow professionals and community leaders to add strength and vision to the club’s program of work. This week's meeting on Thursday, July 30th, will feature Mark Anderson, County Commissioner for Queen Anne's County. He will give us a short update on the state of our county. We also want to thank Rich Graves and his bride, Kim, for hosting a wonderful party at their home this past Saturday. Beautiful sunshine, fellowship and good food was had by all. And special Thanks to Karen Marshall for helping us with the preparation and planning. Also want to remind everyone to check your contact list for new partners for our Report to the Community. This is our largest fundraiser of the year. From this, we are able to support our scholarships for high school students. We Need Your Help. Please consider becoming a benefactor, too! We have a lot of worthy projects we want to support this year.